Check out Mother’s Day Gift Ideas and My Restaurant.com Gift Card! 09 May 2012 Comments Off on Check out Mother’s Day Gift Ideas and My Restaurant.com Gift Card! Great Ideas for Mother’s Day and Add a Restaurant.com card to top it off. New Espacularaiesa Site and Giveaway! 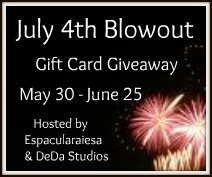 06 May 2012 Comments Off on New Espacularaiesa Site and Giveaway! Hey just Guess what I got from the EspacularHubby for my Birthday! My very own Domain! Sweeeet! You can read about it and enter the subscribers giveaway. Go ahead and sign up at the new site and be entered for a This great giveaway! If you dont get your subscription moved to the new site, I will be trying to get it moved myself in the next week.If you are a subscriber here you will recieve an email to confirm you want to subscribe to my new site.